EP Softech’s all-inclusive assessment capabilities and in-depth knowledge of SAP technology make sure that your valuable customers leverage the advantages of best developed solutions for their specific business needs. From the very stage of project scoping to ongoing development as well as training, we build friendly relationships with our client teams to understand their objectives and help them to achieve their desirable results. Being the best SAP consulting service provider, we ensure to provide leading edge business solutions based on SAP that is cost-efficient. With personalized SAP consulting service and a dedicated support staff, we are one stop solution to help you accelerate your business growth. Project Management – Solution Manager, ASAP Methodology and tools. At EP Softech, we understand the value of your data. Implementation of an SAP system is a herculean task as it brings the legacy data onto the system, it’s not that easy small task. So, with the utmost care, we handled your data and follow our own set of steps. We follow our own standard methodology for the SAP data migration. SAP Upgradation is one of the core services of EP Softech. SAP is a continuous evolving suite of products. Stepping up with the upgraded advances is a must for any corporation’s success. These upgrades require consulting skills. EP Softech’s SAP Upgradation consulting team can help you achieve the mandatory level of SAP upgradation. Usually, a typical version of upgrade may require incorporating changes in software platforms, hardware and databases. We own expertise to map the required changes. 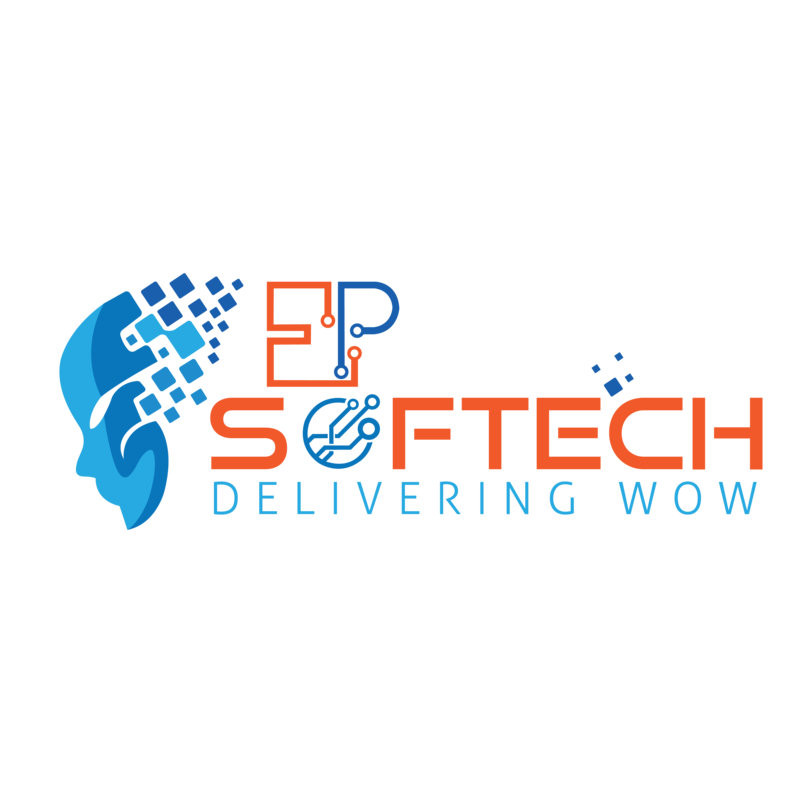 EP Softech worldwide delivery model empowers our clients to deploy their best assets required in an adaptable and cost proficient way. We offer our customers the adaptability to utilize assets from our offsite and offshores locations to complement their onsite processes. Our SAP Offshore Support provide our clients with a full range of technology solutions for the high efficiency, cost effective result oriented outcomes. To fulfill the needs of specific business requirements, many business operations choose to go for SAP custom software development. As a successful SAP custom application development provider, we have customized solutions for a wide range of process needs and various businesses. EP Softech has become the prominent ‘go to’ provider to fulfill these types of specific requirements. We design and develop high-quality custom solutions considering your needs in mind. It has always been difficult to process enormous amount of real time data in a brief span. SAP HANA (High Performance Analytic Appliance) is an application that uses in-memory database technology that helps in processing such data. This in-memory database technology enables HANA to process information from RAM rather from the disks allowing momentary outcomes from client transactions and data analysis. EP Softech helps you to reduce complexity, modernize your data center and achieve better outcomes with SAP Hana. SAP Fiori is a new face of SAP providing an ultimate user experience to its users. With over 300 role based applications for many lines of business likes retail, finance, logistics, accounting, human management resource, EP Softech provides most commonly used apps like financial apps, calculation apps, workflow approvals, information lookups and more. It can be deployed on-cloud or on-premise, and can be used productively for many common day to day processes. Being more than just a new user interface, it is a cross device application and can be used on smartphone, tablet or laptops. EP Softech with SAP HCM designs your HR Process to reach its full potential. It is a comprehensive system that provides you to manage and engage your workforce effectively. EP Softech SAP HCM solution manages people, engages them and drives better business results. It automates all the HR processes like Recruiting & Onboarding, Payroll, Administration, and Learning & Development, Time & Attendance Management and more maximizing the efficiency and minimizing the costs by ensuring legal compliances. SAP Business Intelligence and Business Objects Suits provide real time business intelligence and escalate user autonomy providing on-premise deployment. At EP Softech, with SAP BI/BO Suite we stay updated with your business’s changing needs by leveraging cutting-edge business intelligence technologies, transform data into information providing the deep insight into it and distribute content throughout for higher efficiency, high volume delivery and all access. EP Softech SAP Basis reinforces gives financially savvy, customized support and maintenance that can give huge savings to client SAP provision cost. Our SAP BASIS group comprises of proficient and certified industry experts who together frame the quality of the SAP Practice. This expert group gives an extensive variety of administrations. This exclusive landscape by our team empowers us with better approaches to do BASIS Services for clients, conveying the correct blend of execution and esteem making it a win-win organization. EP Softech SAP Application Management services (AMS) supports a continuous activity with specialized technical proficiency utilizing a skilled on-shore and off-shore delivery model enhancing the SAP solutions landscape; guaranteeing a continuous business tasks and cost effective progressing productivity in the organization. With SAP Application Management Services, we help clients to minimize IT complexity & expenses offering preemptive SAP application services while overseeing security, information, testing, and cloud administrations.